Dr. Erika Oak is a psychologist committed to assisting children, adolescents, and adults access the information and services they need to succeed. She offers empathic and thorough consultation and evaluation to ensure that clients feel heard and understood. She has widespread experience in public and private schools in New Jersey, and has extensive experience assisting families navigate the Special Education processes. Dr. Oak is a licensed psychologist in the state of New Jersey, as well as a New Jersey and New York certified school psychologist. She earned her Bachelors of Science degree in Psychology from University of Rochester, and earned her Doctorate of Psychology and Masters of Science degrees in School Psychology from Fairleigh Dickinson University. Her doctoral training focused on school-based assessment as well as diagnosis and treatment of common disorders found in childhood and adolescence. Dr. Oak has more than 10 years of extensive experience with many types of challenges that may affect a child’s success in the school environment, such as developmental delays, ADHD, anxiety, depression, learning disabilities, and behavioral challenges. She has been instrumental in developing programs in schools assisting students gain social skills and appropriate in-school behavior, helping teachers develop resiliency in struggling students, and changing school climates to be more welcoming and accommodating to students with special needs. She has created many school-based programs geared towards improving the emotional and behavioral quality of the school environment for all students. Dr. Oak also has experience working with adolescents and young adults diagnosed with Asperger’s Syndrome through Fairleigh Dickinson University’s COMPASS program at the Metropolitan Campus. The COMPASS program is designed to provide support during the first two years of college through academic support, individual counseling and group therapy. 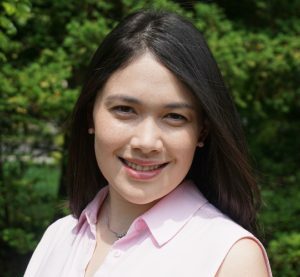 Dr. Oak continues to engage in the newest techniques and research through her continued teaching at Fairleigh Dickinson University, as well as publishing scholarly works in the area of cognitive assessment.